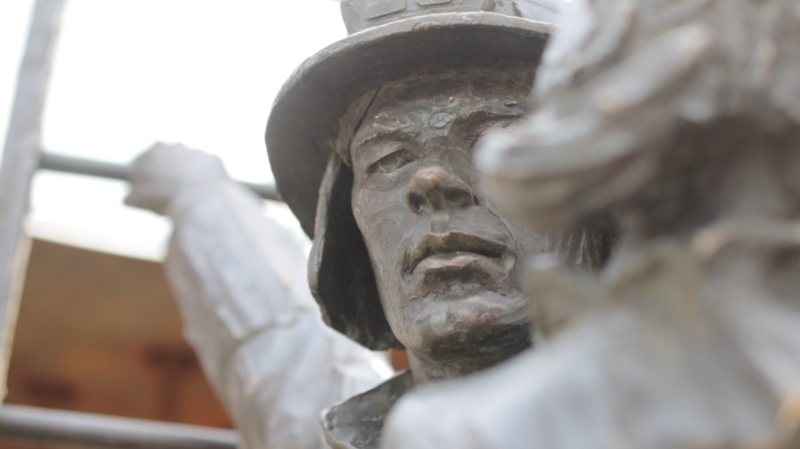 So on my way home from work I stopped by the Capitol grounds and filmed the scattered memorials.They honor vets, firemen, and other notable people like Charles Lindberg and Hubert Humphrey. Wanting to save time, I only paid for a little less than 20 minutes worth of street parking. When I got home I edited the whole thing in about 20 minutes. My goal is to do these in less than an hour because I’ve got way too many other things happening each day for film to completely consume it. I’m thinking I’ll keep working with handheld filming for a bit longer because it’s forcing me to quickly think through different angles and movement. I felt the pressure today knowing that if I didn’t film in time I’d get a parking ticket. We’ve connected with a number of people in the past few months (primarily in Minnesota) who have expressed a passion for film and I’m hoping the concept of the 15-second film will help others grow in the art of film. So tomorrow I’m going to post a subject and give others the weekend to post their own #15secondfilm. I’d love to build community for those wanting to grow together. Look for tomorrow’s post via @goodxtwo on Instagram! !